Home › Blog › Is It Okay for Me to Get a Cheap Website? Getting a cheap website is not the problem. The question is whether you are going to get a quality website or not. You should not be penny wise and pound foolish when it comes to designing your website. If cheap website means low quality website, then forget it, you might as well not have it. If your website does not have the correct UX (User Experience) strategy your bounce rates might be high. Which means your conversions rates will be low, resulting to little or no sales. As soon as a visitor lands on your website and sees the poor quality design, s/he will immediately leave your website, resulting in high bounce rates. Creating a website that is professional, trustworthy and showcases your products and services takes time but is highly rewarding at the end. Furthermore, online users are raising the bar on websites. They expect a nice, friendly user experience. If you don’t have the UX strategy done right, there will be a problem with user experience. 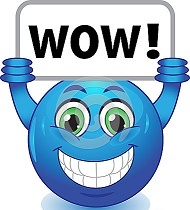 Needless to say, a visitor to your website expects to get the wow effect by your design. Anything less than a great user experience will not make them bring out their credit cards. Therefore a cheap website will end up hurting your business at the long run. Why should I have a website when I had managed so far without one?